The single channel Bus Powered Digital Output Isolator, D5049S, is suitable for driving solenoid valves, visual or audible alarms to alert a plant operator, or other process control devices in Hazardous Area from a driving signal in Safe Area. It can also be used as a controllable supply to power measuring or process control equipment. 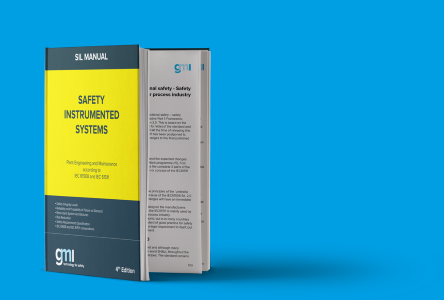 Its use is allowed in applications requiring up to SIL 3 level (according to IEC 61508) in safety related systems for high risk industries. The Safety PLC or DCS driving signal controls the field device through the D5049S, which provides isolation and is capable of monitoring the conditions of the line. Short and open circuit diagnostic monitoring, dip-switch selectable, operates irrespective of the channel condition and provides LED indication and NC transistor output signaling. When fault is detected output is de-energized until normal condition is restored. An override input, dip-switch selectable, is provided to permit a safety system to override the control signal. When enabled, a low input voltage always de-energizes the field device regardless of the input signal. Three basic output circuits are selectable, with different safety parameters, to interface the majority of devices on the market. The selection among the three output characteristics is obtained by connecting the field device to a different terminal block. Mounting on standard DIN-Rail, with or without Power Bus, or on customized Termination Boards, in Safe Area / Non Hazardous Location or in Zone 2 / Class I,Division 2 or Class I, Zone 2. • Output to Zone 0 (Zone 20) / Division 1,installation in Zone 2 / Division 2. • Bus powered for NE loads. • Short and open circuit line diagnostic monitoring with LED, transistor output. • Simplified installation using standard DIN-Railand plug-in terminal blocks, with or without Power Bus, or customized Termination Boards.